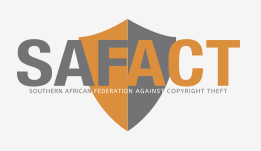 The Southern African Federation Against Copyright Theft (SAFACT) is shutting down. According to the Board of Directors, it lacks sufficient funding after several members gave up their support. The organization was reportedly plagued by a variety of scandals, including accusations of sexual harassment against a senior executive. Founded in 1999, the Southern African Federation Against Copyright Theft (SAFACT) has been fighting piracy for nearly two decades. The group was long supported by a variety of media industry groups, but in recent years, things have gone downhill. While the group still lobbied for tougher anti-piracy measures recently, SAFACT’s official website and social media accounts have been quiet for years. In recent months matters took a turn for the worse. MyBroadband reports that the anti-piracy group is shutting down after several members decided to pull their funding. Employees were informed about the decision to retrench in a letter they received mid-October. They were asked to vacate their offices and were promised one week in severance pay for every year served. “The SAFACT board of directors do not believe that there is any compelling reasons that an organization such as SAFACT should still be in existence,” the letter, seen by MyBroadband, reads. While no further details on the sudden course change were provided, recent scandals at the organization didn’t help. Two of SAFACT’s female employees have accused a senior executive of sexual harassment. The executive refused to participate in the resulting disciplinary proceedings and resigned instead. In addition, MyBroadband reports that a large sum of money disappeared and that there were various accusations of administrative and mismanagement. The company’s official records still list various directors who are no longer with the organization, for example. Peter Dignan, Managing Director for United International Pictures in South Africa, is the current chair. When asked about the trouble he pointed to the lack of funding, without providing more detail. Reportedly, all members – including the MPA, Disney Africa, and Multichoice – have either withdrawn their funding or indicated that they planned to do so. This left SAFACT with no other option than to close shop. Over the past several years, the anti-piracy group has been in the news on several occasions, booking some successes locally. For example, it was the driving force behind South Africa’s first online piracy case, where a Pirate Bay user was sentenced to five years in prison.